What Tolkien did was point out how the monsters were vital to the text. The monsters “made” the poem work. And because of this essay, people came to love and appreciate the poem even more. 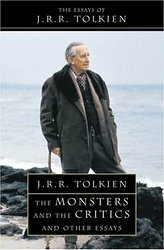 You can learn more about this essay here, at the J. R. R. Tolkien Estate website.